Sensory play is even more important. Every day, children are exposed to new things, and they need to use their senses to understand them. Unfortunately, it’s not that easy for everyone. We use our five primary senses: taste, touch, hearing, sight, and smell to navigate the world around us and perform necessary tasks. We also rely on the senses of body awareness and balance. Whether your child has sensory struggles or not, developing these senses plays a crucial role in child development. 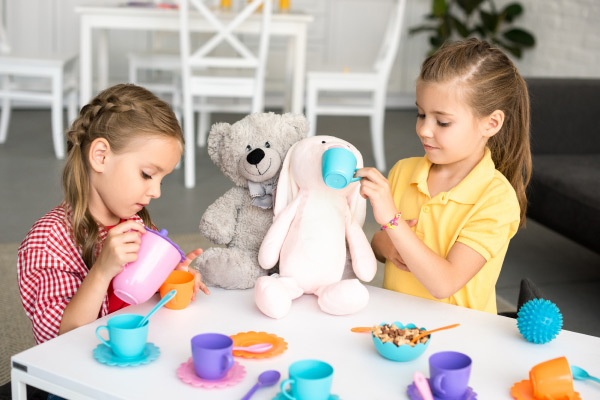 When children are encouraged to participate in exploratory sensory play – discovering things that are sticky, gooey, cold, bumpy, hard, soft, and more – they learn how to process various stimuli. They develop fine and gross motor skills, cognitive skills, and communication skills. And sensory play doesn’t feel like learning, it just feels like having fun! Sensory play enriches a child’s life and introduces skills that kids will use throughout their lifetimes. 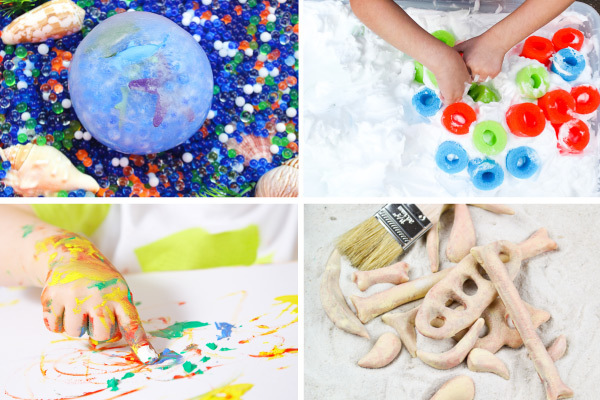 For those who want fun sensory play ideas for children, we’ve put together a list of our twelve favorite activities. 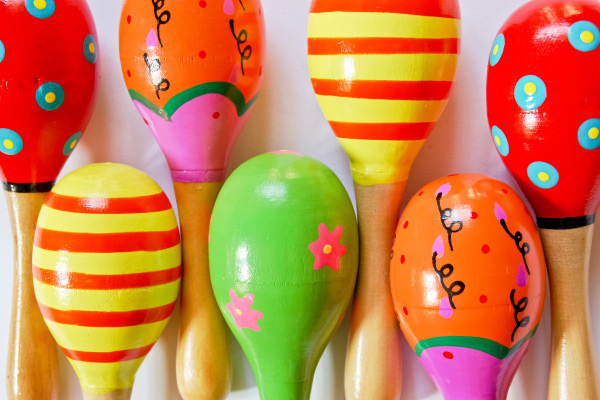 Kids use their senses of touch, sight, and hearing to make and play homemade maracas. After filling a plastic Easter egg with dried beans, your child will have their own musical instrument that will delight them and help them hear sounds at different volumes as they shake harder and softer. Speaking of DIY musical instruments, children love tambourines. But you can make it a bigger sensory experience by having the child make their own tambourine. This will not only allow them to use their sense of hearing, but they will also use their sense of touch and sight as they design their instrument. There are so many fun sensory bins you can make, like this dinosaur excavation sensory bin. All you need are a few supplies like sand, water, pasta or other objects and you’ll have a new way to engage your child’s senses! Rain sticks are fascinating to kids. Using a toilet paper roll, you can make a rain stick that will have children hearing rain any time they turn the stick upside down. In addition to using PBS instructions for making the rain stick, you can let kids decorate it using finger paints or various craft supplies, so they can feel different textures, as well. Hide various treasures inside a box—but have rules for how kids must find and explore the treasures. 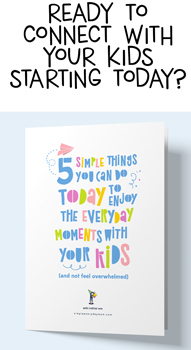 For instance, have your child close their eyes and explore the treasure box using only their hands. Additionally, try a sensory variation: A sensory bin is a box filled with a substance and other objects, such as sand with seashells. 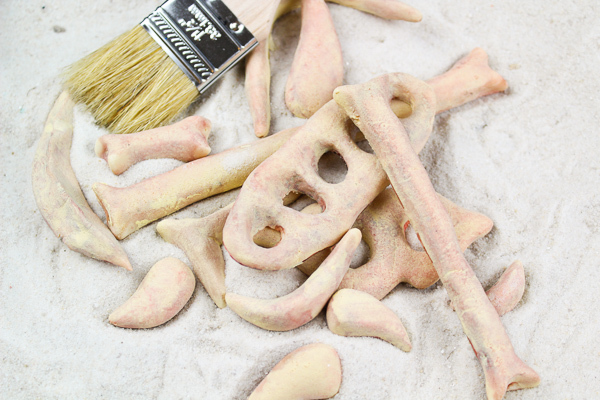 Kids use their hands to explore the sand and what they find hidden in the sand. 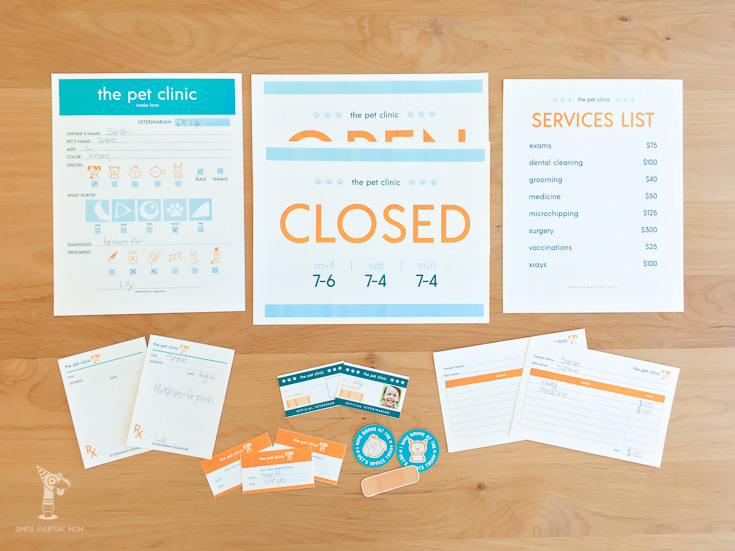 Set up a pretend play veterinarian clinic for your child’s ripped stuffed animals or other broken toys that are easy to fix. Letting your child dig in the dirt and watch things grow is a great way to instill a lifelong love of nature. Homegrown produce always tastes better, and your child might be more likely to try new vegetables if they had a hand in growing them. If you’re handy with tools, you can build a greenhouse for yearlong gardening. 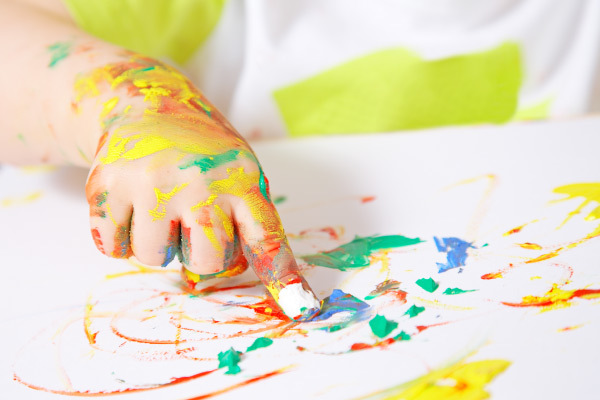 Finger painting is a fantastic sensory play activity for kids! Not only will they get to experience the feel of the paint on their fingers and hands, but they also will get to see unique color combinations. If you want to make it an even deeper sensory experience, you can make edible finger paint. Keeping up with the tasting theme, use some recipes for DIY edible playdough. Playing with play dough is a great sensory activity, but when you use edible playdough, you no longer have to worry about little ones eating it. You can encourage babies and toddlers to use their sense of taste as well as touch! Squishy sensory bags are wonderful ways to explore without making messes. The mess is contained in a clear bag, but kids still get to use their hands to feel and eyes to see how the ingredients change as they press and squish the bag’s contents. You can make them with a variety of ingredients, but most squishy bags require flour, water, and food coloring. 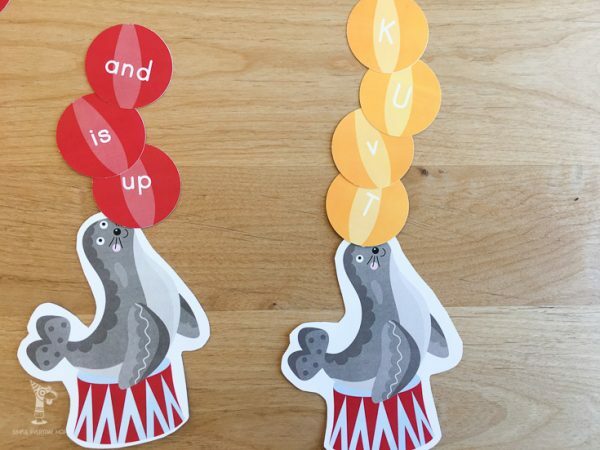 Learning 4 Kids has step-by-step instructions. Bubble wrap is not just for wrapping fragile objects; it is also for sensory exploration! Tape a strip of bubble wrap to the floor and watch your kids use their senses to have a blast bursting the bubbles. They will hear the bubbles pop, see the bubbles shrink, and feel the air release between their fingers or toes. We should never underestimate the power of imagination. Kids need opportunities to pretend on a daily basis. When they pretend, they develop cognitive and social skills. They are also using their senses. For example, a play kitchen allows a child to both use their senses and pretend to use their sense of taste. Have kids embrace their sense of taste, smell, and touch with a blind taste test. Let kids try to guess foods without using their sense of sight, relying only on their other senses. This tasty activity is tons of fun for everyone! 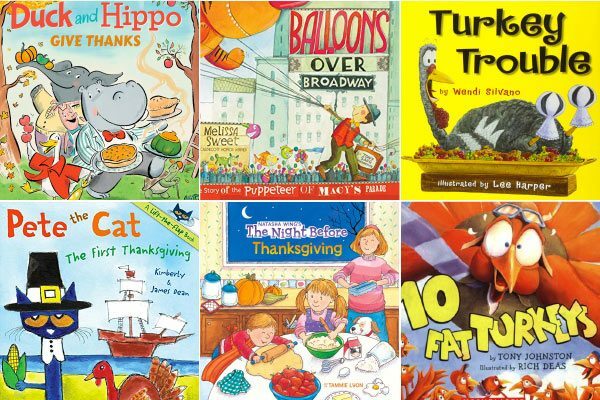 There are tons of inexpensive ways to engage your children’s senses, enhance their skills, and have a great time. If they can see, smell, hear, taste, or touch it—and it’s fun—then give it a try! Jackie Nunes is a blogger at WonderMoms.org. 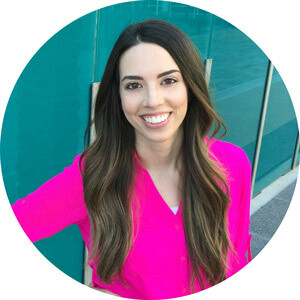 She is a former pediatric nurse and now a full-time homeschool educator. She and her husband have three children. Their middle child suffered a traumatic brain injury when she was 4. Now 11 years old, she is hearing impaired and uses a wheelchair. Jackie and two other moms created Wonder Moms as a project to share real talk, helpful information, and practical advice with parents of kids who have intellectual disabilities, Down syndrome, autism, language and speech delays, deafness, chronic illness, and traumatic brain injury.